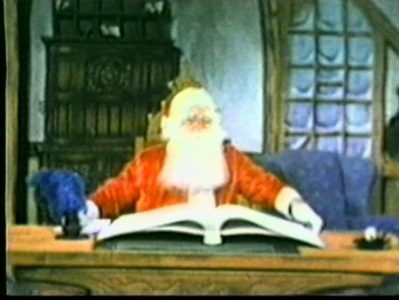 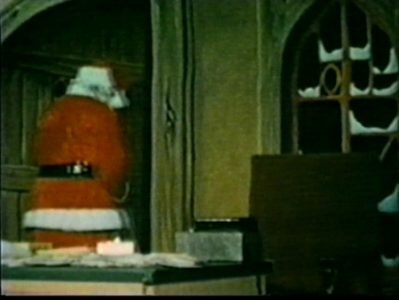 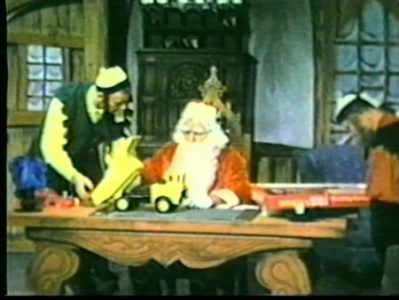 BUFFALO, NY – Alternately known as “A Visit with Santa,” “Santa’s Workshop,” or some combination thereof, The Santa Show brought the magic of the north pole into Buffalo living rooms on WBEN-TV from 1948 to 1973. 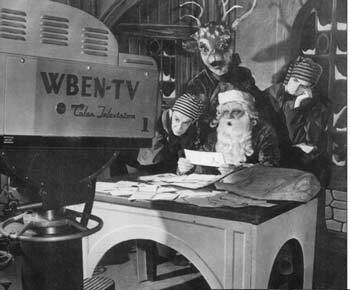 The show ran for 15 minutes daily at 5pm from Thanksgiving to Christmas Eve, and was the brainchild of WBEN-TV pioneer Fred Keller. 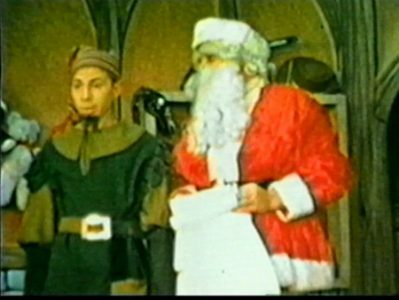 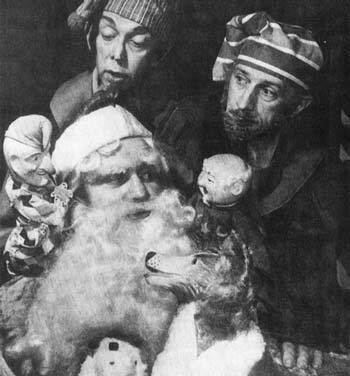 Santa was played by two men during the show’s 25 year run. 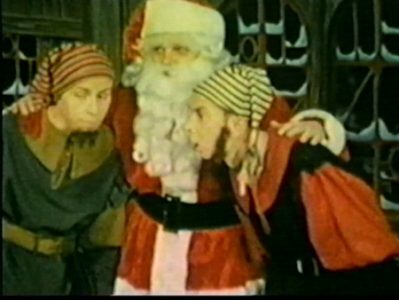 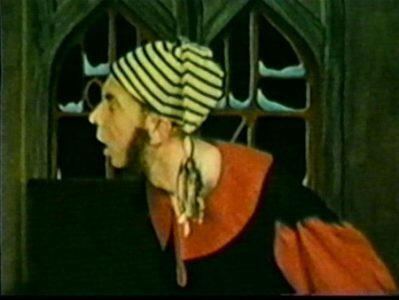 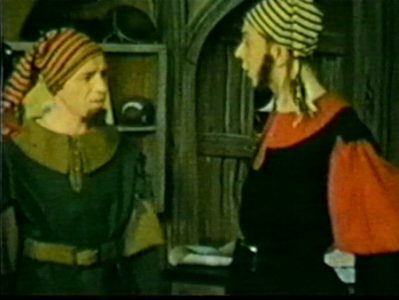 Ed Dinsmore played the Jolliest of Elves from 1948 until his untimely death in 1954. 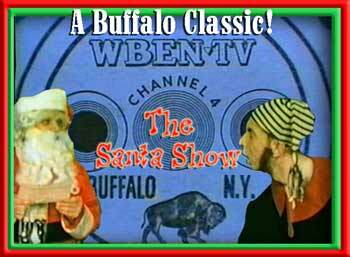 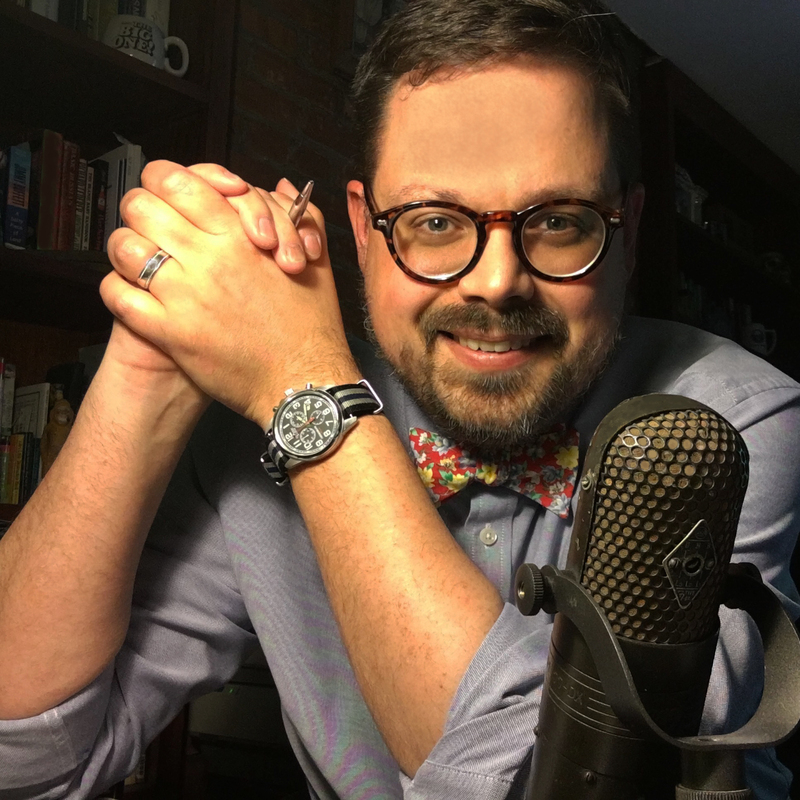 WBEN staffer Bill Peters stepped in, and played the role for 19 years. 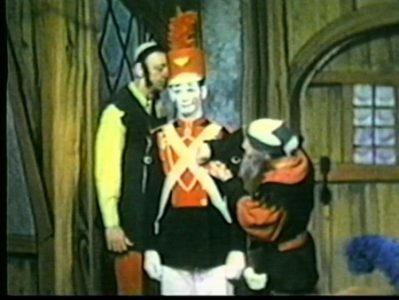 Besides the Big Man, Warren Jacboer played “Freezy the Polar Bear,” both Gene Brook and Bud Hagman played “Grumbles the Elf,” and, arguably the most memorable cast member was Forgetful the Elf… as played by Johnny Eisenberger for nearly the entire run of the show. 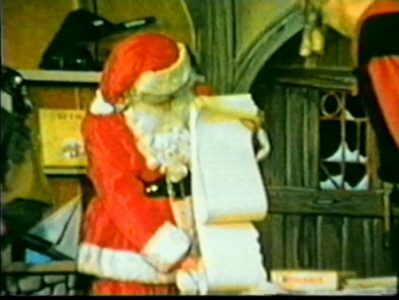 The program was simple by our modern day TV standards– most of the 15 minutes consisted of Santa reading letters from WNY boys and girls. 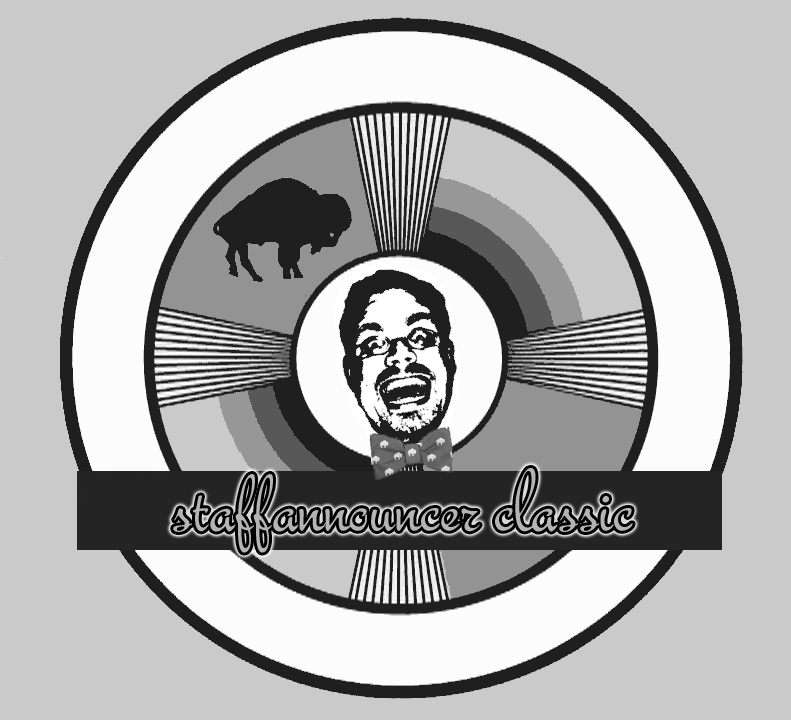 But its long run– and the feelings it engendered– makes it an all-time Buffalo classic. 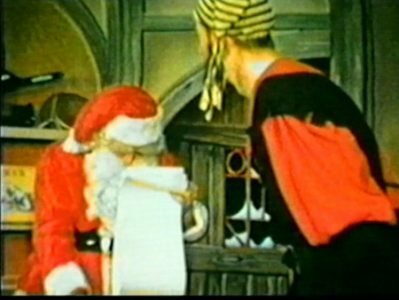 Channel 4 helped deliver, on average, 50,000 letters a year to Ol’ St. Nick. 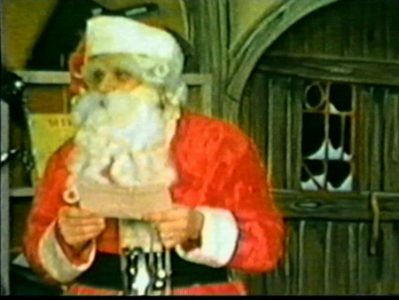 The show was the first regular program broadcast in color in Buffalo starting in 1956. 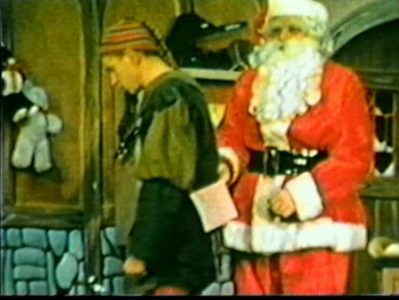 Next Next post: Buffalo in the 50’s: Before there was Irv..